All Japanese food shops are veritable treasure troves of excitement, and Japanese candy stores are no exception. From a time of traditional Japanese sweets made with azuki bean paste and dainty Japanese candy boxes given to friends and family as souvenirs, Japan candy has evolved enormously and become an area of increasing intrigue around the world.Among the popular candy Japan offers are Japanese candy kits (for making your own Japanese DIY candy treats), Japanese chocolate (with flavours ranging from strawberry to matcha green tea), Pocky and other types of chocolate coated biscuit sticks, and KitKats in all sorts of bizarre flavours. 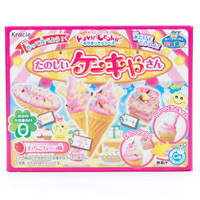 If you are thinking of trying Japanese candy for the first time, or you are a Japanese candy connoisseur and looking for the best collection of Japanese candy UK-wide and Japanese sweets UK-wide, take a look at japancentre.com’s Japanese confectionery section. 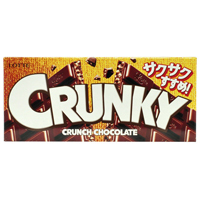 With a great range of biscuits, chocolates, sweets, desserts, and bakery items available, there is no better Japanese shop online to buy Japanese candy. ‘Wagashi’ literally means ‘Japanese sweets’, and the term refers to any Japanese confections that were invented in Japan during the Edo period. 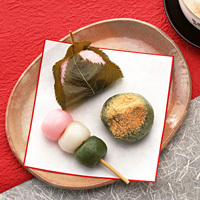 Most wagashi are made with a combination of mochi (pounded rice), anko (azuki sweet red bean paste), and/or fruit, and are commonly served with green tea or during the Japanese tea ceremony. Some well-known varieties of wagashi include daifuku, dango, dorayaki, mochi, taiyaki, and yokan. ‘Yogashi’ means ‘Western sweets’, and refers to any sweets that were originally invented in Western countries. These include all of the sweet foods we are more familiar with in the UK, including cakes, biscuits, chocolates, and chilled desserts. Although these sweets come from other countries, Japanese dessert makers and confectioners will often add a Japanese twist to them by incorporating Japanese ingredients such as matcha green tea, yuzu citrus, or anko. In the world of weird Japanese candy there are few sweets more fascinating than DIY Japanese candy. 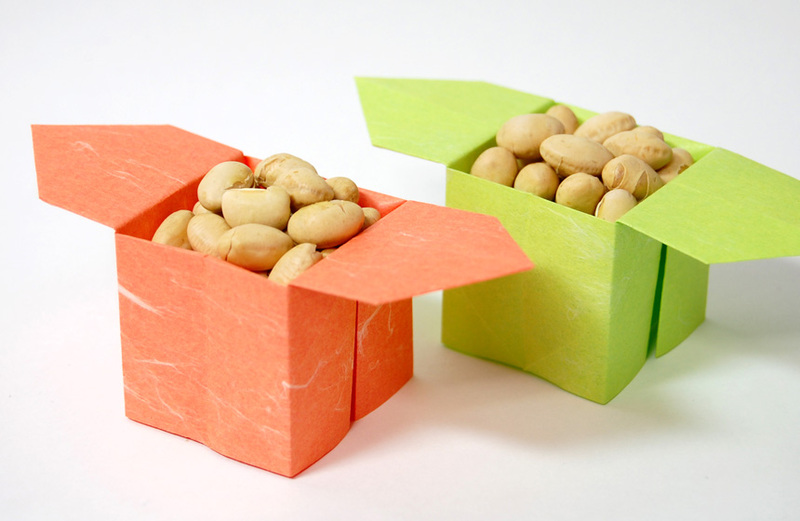 Available in brightly-coloured boxes and packages, these DIY candy kits contain everything you need to make all sorts of fun and decorative sweets and candy, including candy shaped like sushi or bento boxes, candy that can be moulded into shapes like clay, cake shop candy, doughnut-shaped candy, and more. Whenever somebody goes on holiday in Japan, they are expected to bring back a gift from the holiday destination to share with everybody. 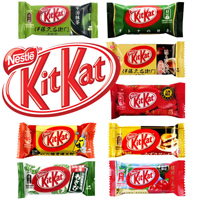 Nestle Japan took advantage of this Japanese custom by bringing out a special range of KitKats, where each flavour reflects a certain region of Japan, and that flavour is only available in that region. This is why Japanese KitKats come in such a diverse range of often unusual flavours, including wasabi, purple sweet potato, and ichimi chilli. This tasty cake consists of two layers of sweet sponge cake joined together with a creamy filling and coated in rich chocolate. A tempting morning or afternoon tea treat. 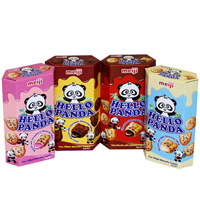 Popular chocolate biscuit snacks among kids and adults alike, Koala’s March and Hello Panda are bite-size biscuits filled with a chocolate cream filling. Both come in several different flavours. These beloved chewy candies are a favourite among Japanese children and adults alike, and are becoming increasingly popular in the UK as well. 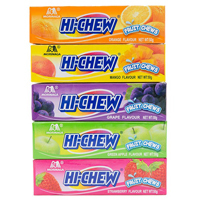 Flavours include grape, strawberry, cola, green apple, and soda. 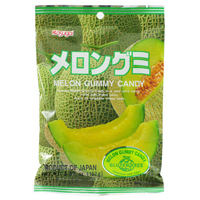 Gummy sweets are a fruity favourite in Japan. The best varieties are made with real fruit juice, and popular flavours include peach, strawberry, melon, and pineapple. 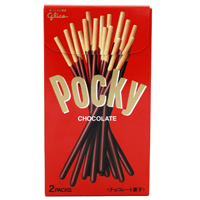 Arguably the most well-known Japanese snack food, Pocky are pretzel biscuit sticks dipped in chocolate and sometimes other coatings, including cookie crumbs, almonds, and matcha green tea biscuits. 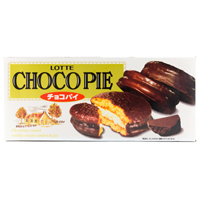 If you are planning to buy Japanese food online, be sure to take a look at japancentre.com’s chocolate section. Matcha, strawberry, vanilla pudding, sweet potato, and other eccentric chocolate flavours are ready and waiting to be tried. 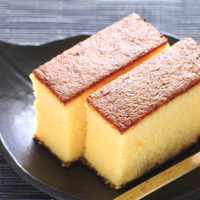 Bread may not be as much of a dietary staple in Japan as it is in some European countries, but there is nevertheless no doubt that Japan is a bread-loving nation. 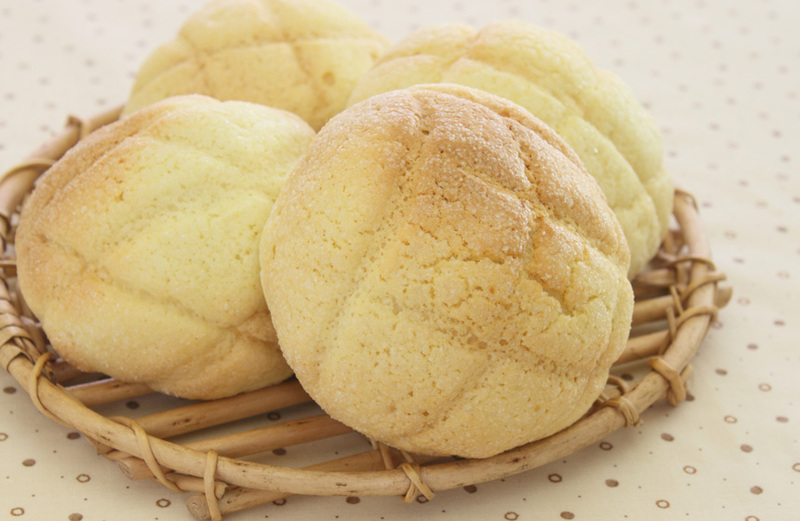 Bakeries can be found all over the country, outside train stations and inside department stores, and they are guaranteed to be selling beloved Japanese baked goods including melon pan (a sweet bun with a crunchy cookie dough top), an pan (a soft bun with an azuki sweet bean paste filling), and curry pan (a savoury bun filled with curry sauce). Matcha green tea was traditionally (and often still is) used in the tea ceremony. Nowadays matcha is more frequently seen and used as a flavouring for all sorts of wagashi and yogashi desserts and sweet drinks. Because matcha is a very fine powder it mixes into batters, creams and sauces just as well as sugar, cocoa, or cinnamon. Try adding matcha to plain butter cakes, biscuits, or ice cream for exciting and tasting variations on these classic desserts. For a more traditional dessert, try combining matcha with anko paste and wrapping it up in mochi. Adding matcha to sweets and candy tends to work well, because the bitterness of the matcha is always well hidden by the sweetness of the candy. Refreshing matcha combined with white chocolate for a balanced sweet treat. Serve your matcha tea or latte with matcha infused biscuits. The name ‘Lotte’ comes from the nickname of the lovable main character, Charlotte, in The Sorrows of Young Werther. 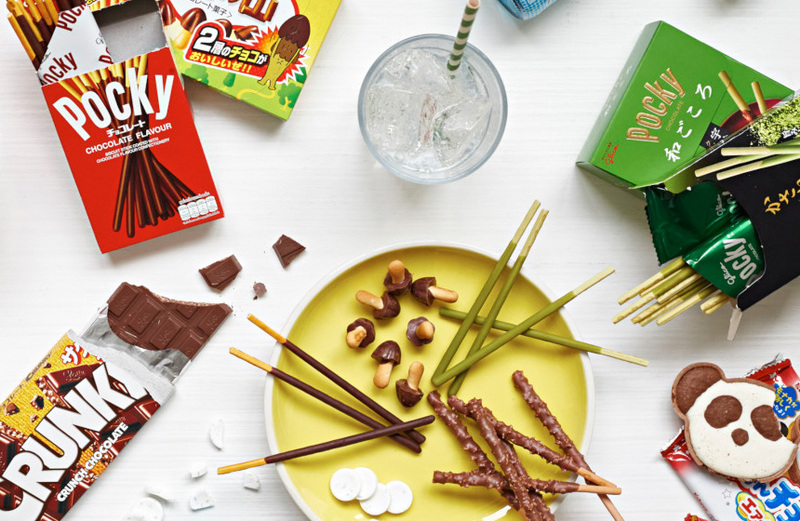 With the brand slogan ‘The Sweetheart of Your Mouth’, Lotte works hard to great delicious sweet treats that cater to the tastes of as many people as possible, including chewing gum, chocolate, and biscuits. 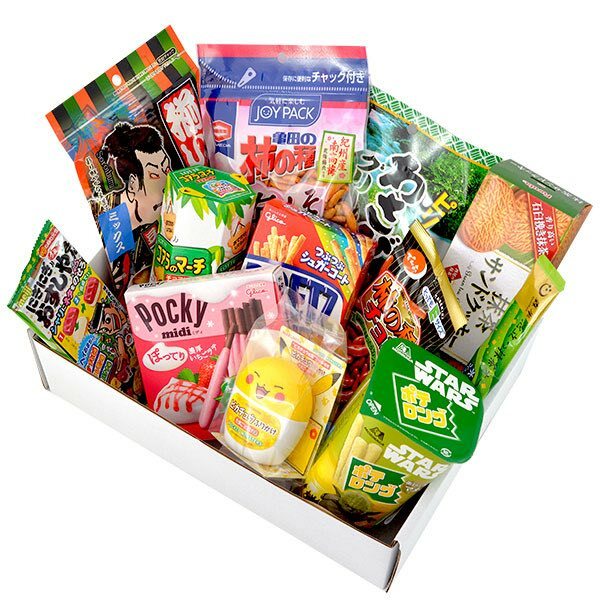 Discover the quirkiness and variety of Japanese sweets and other confectionery first hand with japancentre.com's Pop Culture Snack Boxes. Sign up for a Pop Culture Snack Box Subscription to get the best tasting, funkiest and most colourful selection of Japanese snacks delivered to your door every month. With the contents changing every month, you will discover something new and exciting every time. What better way could there be to surround yourself in Japanese popular culture? Japanese Sweets - Exclusive to JC!